This new £10m fund will support ‘social ventures’ to raise investment or win contracts to run public services. It is now open for applications and is run on behalf of the Office for Civil Society by the Social Investment Business. 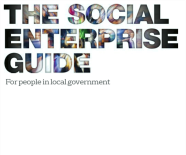 Social ventures are defined as registered charities, social enterprises, community and voluntary organisations, social businesses and mutuals. These organisations can apply for grants of between £50k and £150k to purchase investment and contract readiness support from an approved advisor. Proposals must be designed to prepare the social venture to raise an investment of at least £500,000 or win contracts of at least £1 million. Kevin Jacquiss (a partner at Cobbetts LLP who we have worked with a number of times) has written in this week’s Guardian local government network about the requirements now being placed on mutualised service providers to register with the FSA. Real emphasis on that sense of being genuinely different and accountable to the community – beyond the “warm glow” of just saying you’re a cooperative. Interesting stuff. You are currently browsing the archives for the Mutuals category.